The HotForex has been voted as the Best Online Broker from Asia for the year 2012 by World Finance. 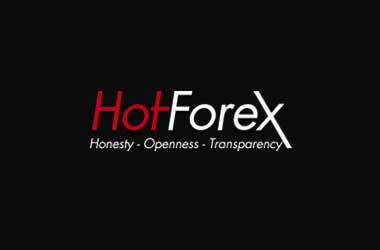 Hotforex.com is broker that is making the waves in the online Forex brokerage trading market. The broker is registered and located in the Cyprus. Hotforex.com is strictly regulated by the Commission of Financial Services. The brokers allow the traders to trade in small volume along with comprehensive customer support. They provide high Bonuses. The high leverage supported by the brokers is 1:1000. The Low minimum deposit required to open a trading account is $5. Like most heavyweight forex brokerages, Hotforex offers its clients the MetaTrader MT4 platform as the mainstay of their trading platforms. The MT4 trading platform is regarded by the industry as being extremely reliable and offers users a wide range of tools and resources for trading in the volatile Forex market. One major advantage of the MT4 trading platform is the fact that it allows users to use automated trading programs. Hotforex also provide a Mac compatible version of the MT4 trading platform for their clients. For the traders who require simpler way of accessing, they opt for the platform Hotforex Webtrader. This type of platform needs no software to be downloaded and installed. Their major benefits are their Quick access in internet, Multi lingual availability, and Single login details as in MT4, Web based charting and many more. Customer support is reachable through live chat, email, fax, skype and phone.